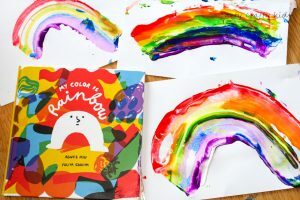 Today’s Rainbow Scrape Painting is inspired by the gorgeous book “My Color is Rainbow” written by Agnes Hsu – a mum, entrepreneur, author, creative and the mastermind behind the awesome, Hello Wonderful blog. Have you ever felt that you don’t quite belong? And that you would like something more from life, without knowing what that ‘more’ is? 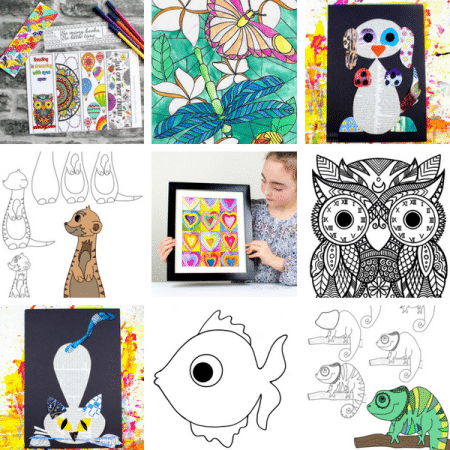 This is the story of White Arch, who embarks on a journey of self discovery to find its place in a world full of colour. White Arch meets each colour of the rainbow who all represent a different characteristic – Loving, Friendly, Happy, Helpful, Peaceful and Majestic. The colours are kind, welcoming and inclusive. But, why limit yourself to just being loving or happy or friendly, when you can be all of them and more? White Arch discovers that there are no limits and there are no boundaries; becoming a tidy metaphor for the challenges that children (and adults) may face today in juxtaposed world full of both limitations and choice. If you like the sound of ‘Mr Color is Rainbow’ you can purchase your copy from Amazon here. 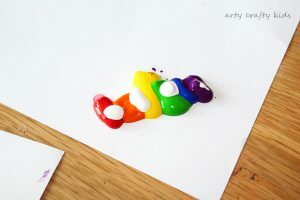 Paint – Red, Orange, Yellow, Green, Blue, Purple and White. 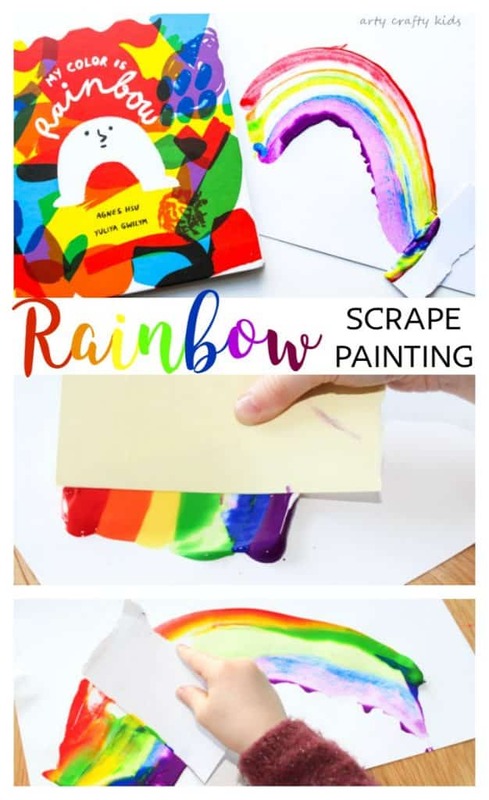 A piece of scrap card – try using an old cereal box or similar. 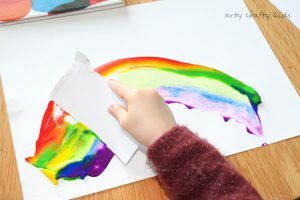 Simply line the paint in order of a rainbow at an angle. 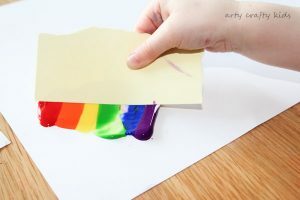 Take the scrap card and spread it across the paint. Pushing the paint across the card. Ask you child, what happens to White Arch? In some instances the white blends to create a lighter shade of the adjacent colour. 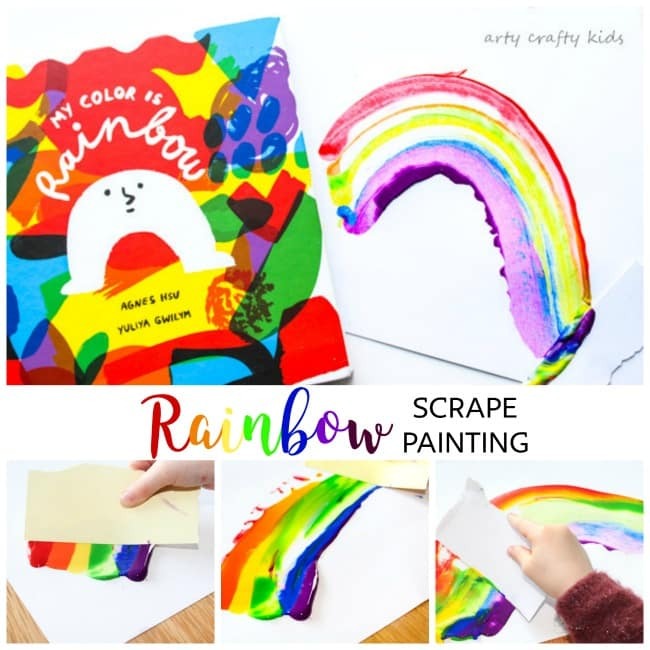 I hope you’ve enjoyed this simple Rainbow Scrape Painting activity. My preschooler spent hours repeating the process and trying different shapes and colour sequences. 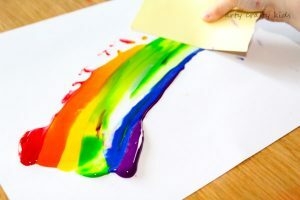 For more inspiration, take a look at our Scrape Painting Post that will show you how to create interesting patterns. 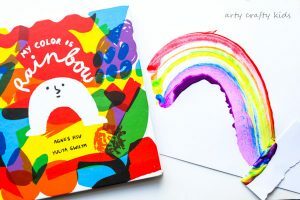 This is a sponsored post and we received the book for free with the intention to provide an honest review of ‘My Color is Rainbow. All views and opinions expressed are entirely my own. 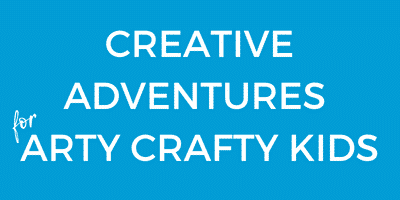 Click here to see our full disclosure policy.